What is Telogen Effluvium and why it is on the increase for young women? What is Telogen Effluvium and why is it on the increase for young women? At any one time, 10% of your hair is in the Telogen phase. This is the stage where the hair detaches from the follicle and sheds. The follicle remains empty until the anagen phase, growing stage begins again. The human hair growth cycle is not synchronised so we don’t lose all our hair at once, a few hairs are shed each day and the follicle quickly resumes its growing stage, so no obvious hair thinning is apparent. After childbirth, postpartum hair loss. High fevers during an illness. Changes in diet, dramatic weight loss or eating disorders. Severe emotional distress caused by the death of a loved one, losing your job or a divorce. Telogen effluvium is a temporary type of hair loss and will right itself in the following 6-12 months. For some people, the condition can become chronic with the effects lasting for longer periods of time. Causing more stress and exasperate the condition further. So why are more young women suffering from this condition? The jury is out, but we must consider lifestyle, nutrition, medical history, stress levels, environmental pollution, physical and chemical treatment of the hair. There are solutions to this problem and low-level light therapy has proven very effective with no side effects. 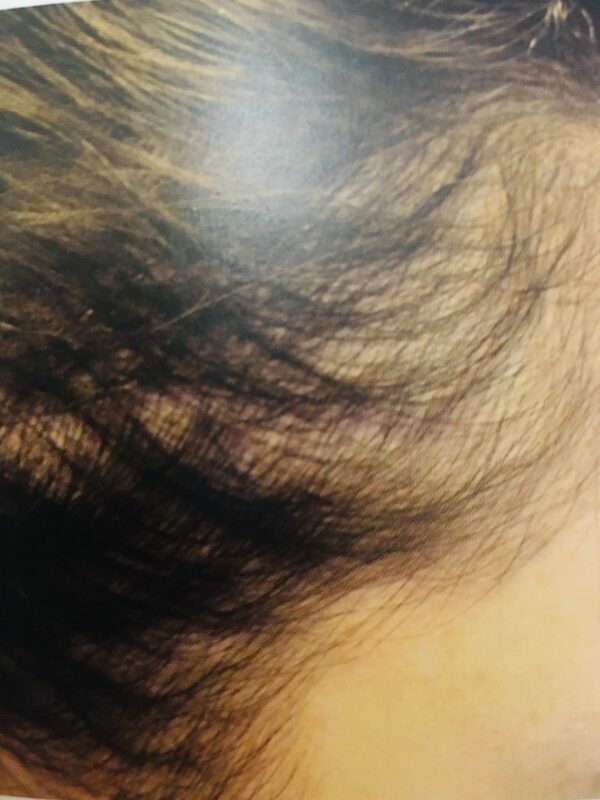 If you feel you are losing excessive amounts of hair, come and have a free consultation to discover the cause and start a programme of rejuvenation and recovery.